Your toothbrush is supposed to be a tool for cleaning and caring for your teeth. However, if you cannot remember the last time you replaced your toothbrush or brush head, it could be doing the exact opposite. 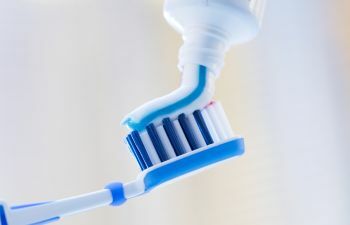 Toothbrushes are designed to clean the surfaces of the teeth in order to remove food particles and plaque that gather, and they do a rather good job when they are in proper condition. However, your toothbrush becomes contaminated with bacteria every time they are placed inside the mouth. In order to prevent your toothbrush from doing more harm than good, proper steps need to be put into place each time it is used. Wash it after each use. Rinsing your toothbrush under vigorously running water after you have used it will help to remove any debris that have been taken from your mouth. Give your toothbrush a deep clean every couple of weeks. Running it through the dishwasher or soaking it an antibacterial mouthwash can help to kill any bacteria that remain on or in between the bristles after it has been rinsed. Store it properly. It is important not to miss this step! Store your toothbrush in an upright position – such as in a toothbrush rack or in a cup – where it can dry out. Do not lay it flat and/or store it inside a cabinet or drawer. Allowing it as much air as possible will help it to dry out in the fastest amount of time and kill lingering bacteria. Replace your toothbrush at least twice a year. There is a reason behind why your dentist gives you a new toothbrush after each dental visit. It is to ensure that you have a proper, clean toothbrush to use. It is also essential that your toothbrush be replaced following the flu or strep throat, as these germs are not easily killed and can cause reinfection. Do not share your toothbrush. Toothbrush sharing transfers germs, saliva, and bacteria from person to person. This is not only considered unsanitary, but it can also cause tooth decay because of the introduction of alien bacteria in the mouth. At Gold Hill Dentistry, we want to help you achieve the greatest oral health possible. By educating patients on simple ways to maintain oral health, and by giving you a new toothbrush after each visit, we offer comprehensive dental services that will serve for years to come. Please contact our dental office to schedule your next visit. We will have a new toothbrush ready for you!